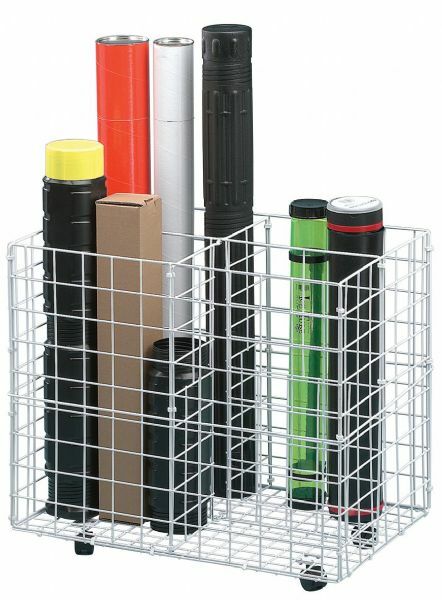 Four 9" x 14" openings make this heavy-duty storage bin an ideal organizer for rolled maps plans drawings and tubes. * Constructed of white plastic-coated heavy-gauge steel rods. * Overall dimensions: 26"h x 28"w x 18"d.
* Shipping weight 15 lbs. The capacity is 4 slots. The size is 18"d x 28"w x 26"h.